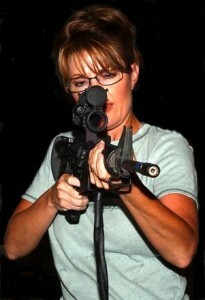 Palin’s bizarre use of language is sure to provoke further controversy. Blood libel refers to a notorious passage in St Matthew where Jews said of the crucifixion: “Let his blood be on our heads.” Later it referred to a reprehensible medieval myth that Jews killed their children as part of a religious ritual. Giffords is Arizona’s first Jewish congresswoman. Sarah Palin’s hopes of being the Republican nominee for president next year are virtually finished by the fallout from the Arizona shooting spree, as she is under criticism from both left and right. Once again Palin fails to demonstrate the maturity and understanding to be considered as a viable candidate for presidential office. She has become a sideline figure appealing mainly to the more radical members of our society. Palin’s chances of announcing a run for the White House sank over the last 48 hours on Intrade, the politically neutral online trade/betting exchange, dropping from around 75% to around 60%. Even the Gallup poll finds that Palin as a polarising figure, with high negative ratings, even among Republicans. 1 comment to Blood Libel! I take offence to this phrase! This stupid woman!She has no idea what she is talking about. Why can’t she shut up, and why does the Fox News keep defending Palin? Whether this madman knew or didn’t know, it was Palin who put up the gun site, that led to the shooting of Congresswoman Giffords.